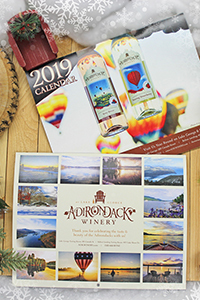 ‘Tis the season for giving, and with Adirondack Winery’s Holiday Shop, you can find a great gift for any wine lover or wine learner in your family. Here are five accessories in our Holiday Shop to add to your next order – but order soon, Christmas shipping deadlines are around the corner! We can’t always finish a bottle of wine (even though there are times when we certainly feel like we need to!). This wine preserver removes the air out of a partially consumed bottle of wine before turning into a stopper with an airtight seal. 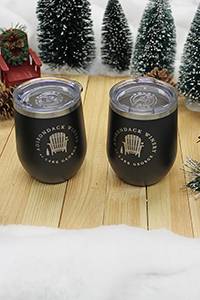 It sports an Adirondack Winery logo on top, and best yet, you can get FREE shipping on this item in our store when you purchase it with at least one bottle of wine (use coupon code withwine at checkout). Few items in our store sell as quickly as this stainless steel travel mug. With a beautiful matte finish and a splash-proof lid, this stemless tumbler keeps drinks cold and holds up to 12 oz of your favorite wine! Like us, it's also made by a local family-owned engraving company! Fits most standard cup holders and it won’t sweat in the heat. BPA/BFA free too! Does your special someone like to hike? This insulated tote will keep your bottle of wine cool and safe during any outdoor excursion. 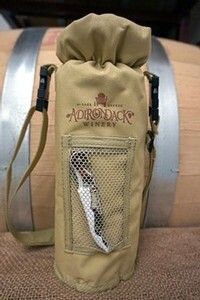 Includes a waiter’s style corkscrew, with an Adirondack Winery logo on both the corkscrew and carrier. Made from waterproof polyester and has a removable strap for ultra convenience! Make your outdoorsy friend or loved one extremely happy with wine on-the-go! Aerating wine improves its flavor and quality. This logoed aerator easily inserts into any bottle of wine and produces a drip-free pour every time. Plus, it’s made from acrylic and rubber, which makes it extremely durable and easy to clean. A must for any red wine lover on your shopping list! Last but certainly not least, our gorgeous 2019 wall calendar will have you dreaming of the Adirondacks every time you look at it. Each month features a breathtaking photo of the Lake George Region – taken by our customers! It’s also packed with info about events at our Tasting Room, wine holidays and so much more! Plus, you can order it today for just $7.99 – that’s $7 off the retail price! Beyond accessories, we offer huge savings on wine this time of year. Visit our Holiday Shop to browse popular items like our 12-bottle Holiday in the Adirondacks Party Pack (just $199.99! ), wine gift boxes (starting at $44!) and personalized wine bottles (starting at only $17.99!). Our Wine Club is another great gift idea because it keeps on giving! Sign up a friend or loved one today and they will receive 3 bottles of wine shipped to directly to their home 4x per year! After 2 shipments, you can cancel the membership or roll it over to yourself and you can become a Club Member! (Club Members receive awesome benefits like in-store & online wine discounts, FREE monthly wine tastings, first access to our new and limited-edition wines, and so much more!) Sign up today! Have a favorite ADK Winery accessory? Let us know in the comments section.